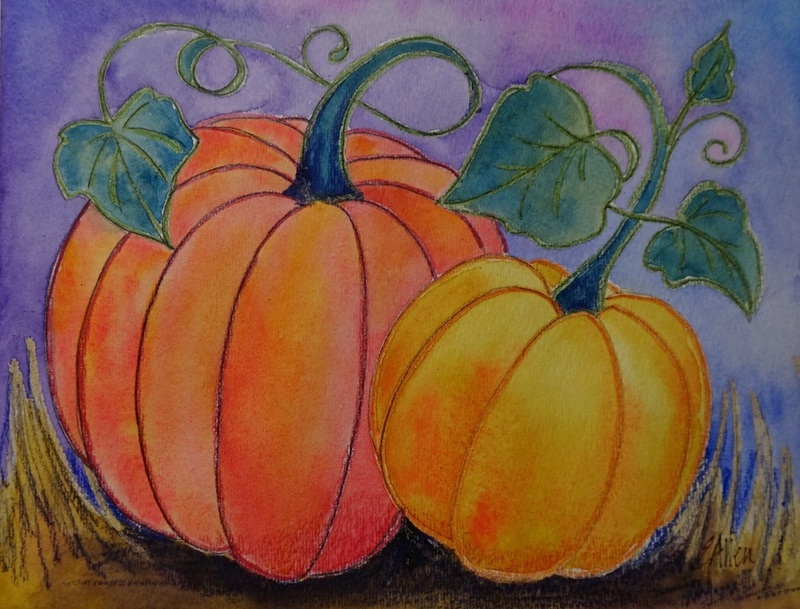 In this colorful, easy class, you'll create a painting to celebrate the richness of the Thanksgiving season. Come join the fun as you work with some favorite art materials! 2-hour class. $35 includes all materials. You will pay Elaine on the day of class with either cash or check. Checks should be made out to Elaine Allen. Please note that the instructor purchases materials based upon enrollment. If you are not able to attend, please let Elaine know at least three days before class. Adult class - any experience level welcome (beginner friendly). Also open to teens. A parent together with a child older than 10 is also welcome. Questions about this class? Email Elaine at ElaineAllenArt@gmail.com.